Soothe, protect, and nourish dry wind-blasted skin – it really is a Winter Wonder Bar. 20+ different uses! Anyone who wants to protect and moisturise all over, anywhere anytime with a quick slick of the bar- see below for many uses- and give us feedback on any of your own! Formerly our Skin Salvation bar, reformulated with the incredible moisturising properties of new Meadowfoam Seed oil, and vitamin rich Hemp! 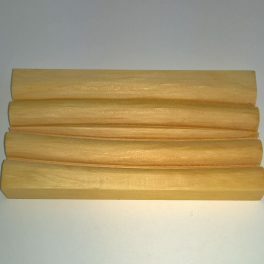 A solid super long lasting unscented balm bar that melts on contact with warm skin. 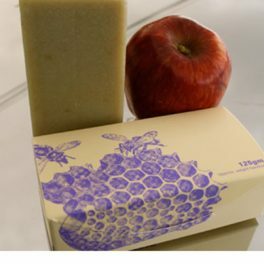 Rich in Tasmania’s unique Leatherwood Beeswax, honey and natural waxes and intensely moisturising superfine nut /plant oils such as cherry, peach, apricot kernel, plus the amazing Camellia oil, rich in vitamins A, D, and E to nourish and protect. Raw virgin coconut oil and all the ingredients combine to smell great, but it is unscented ( no essential oils) for those who have sensitivities. Great for travel as it is in it’s own compact tin to fit in toiletry bag – no liquids to worry about with airline rules-for no fuss moisturising on the go. It’s a solid moisturizer you can carry with you and rub on hands, elbows or wherever your skin is dry and itchy. No more worries about worry about leaky bottles or tubes, and can go in your carry on luggage. How to use: simply rub once or twice between the hands and the warmth of your skin softens the bar and releases the balm to let you rub the lotion in. Please note: as a totally natural product, this will be hard in winter and softer in summer. Here are some of the amazing uses! intense all over moisturising including face/body-either smooth on directly to skin or work between hands and smooth onto skin. Condition dry scalp and hair- work between hands and smooth into dry hair/scalp, leave overnight, wash out with Natural Shampoo Bar. Leatherwood beeswax and honey; Marigold (Calendula officinalis) infused in certified organic (A.C.O) olive oil; virgin coconut oil (N.A.A.S.A); castor oil; wheat germ oil; sesame oil; cherry; peach; apricot kernel; Meadowfoam (Limnanthes alba) seed; hemp oil; carrot oil; avocado oil; macadamia oil; Camellia oil; cocoa butter; Siam benzoin resin; Annatto seed oil (natural colour); corn starch. 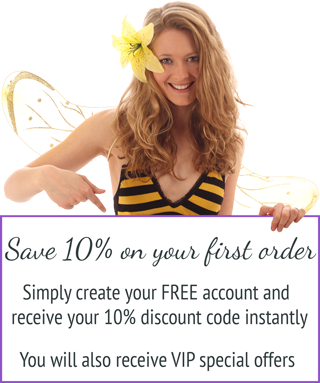 Discover everything you need to know about Beauty and the Bees Skincare range. 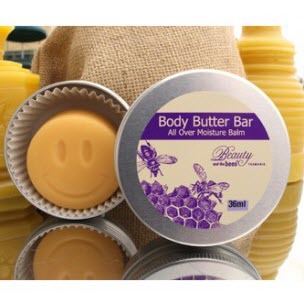 11 reviews for Body Butter Balm Bar For all your moisturising needs. 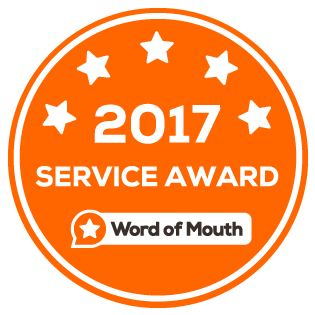 I started using this great product recently and am delighted with it for all the reasons expressed by other reviewers. I am really thrilled that my elderly father, who has varicose eczema has used it with great results after suffering from decades of dry, flaky, itchy skin. Thank you for you review, Jo. We’re glad that your father no longer suffers from dry, flaky, itchy skin. I was lucky enough to be gifted this body balm by a lovely friend. Beauty and the Bees makes the best products I have ever (and probably will ever) use and this balm is no exception. Feels so luxurious on the skin, helps moisturise my extremely dry skin and smells absolutely delicious! Thank you Beauty and the Bees for continuing to produce flawless products. Please never stop creating your beautiful goods. Thank you for taking the time to write these kind words Beth, as a small business we really appreciate it. I have super dry lips and this is so moisturising, I’ve tried so many brands of lip balm that are either too greasy or leave my lips drier than before. It’s also great on my cracked heels, as an all over body moisturiser, so great on my calluses and so easy to carry around. Thank you for making such a fabulous product with so many different uses! I just bought this product a few days ago and have been using it since! It IS fantastic like everyone said on their reviews! This Body Butter Balm Bar does have sooooo many uses, end up i realised i dont have to carry another lip balm, or buy a particular product for my dry cuticles etc. I used to use lots of coconut oil as body cream, it is really good, but compare to the Body Butter Balm Bar, i would say this product is much better in moisture dry skin, like my elbows, my feet, my shin etc. the moist just somehow stays, and the bonus is it doesn’t stain on your clothes at all!!!!! So that means i can put on my dress straight away without waiting or worrying about anyting, lol You can really see and feel your skin just loves it! And plus you don’t need to apply a lot, just simply go over with bar once, and this is it! I carry the balm with me everywhere now, it is perfect size in my little bag, does’n take much room at all, plus the container is so designed in such a wise way, so easy to carry around without much weight, and it is so easy to open & close, and not to have to worry about the lid will open by itself, as it is totally secure! We love this product too as it is an all over bar…thanks so much for confirming that! I love this Body Butter Bar. I use it on my lips, my cuticles (my nails and cuticles have never looked better), on my hands and feet and on my body. My lips are so soft – no more dry, cracked lips – and my two boys who are 4 and 7 love it too – they like applying it on their dry lips, and whenever they have dry patches on their skin, they ask me for some of the ‘special bee balm’. I bought this after reading some of the reviews, and I couldn’t be happier. The itchy dry and flaky skin on my arms and legs (due to a mild form of eczema) has almost vanished. I am so impressed with this product, I have been telling all my family about it. I use it all over my body, from dry elbows to chapped lips, even a small amount through my hair after washing as a leave in conditioning balm. The smell is wonderful, even my dog goes crazy trying to lick it off my legs as I’m applying it. Thanks for a wonderful product. Just a few words on an absolutely perfect product: Body Butter Balm Bar. Absolutely wonderful, perfect for hands or cracked feet but also to protect the face and lips in winter (this is the case at the moment in France). 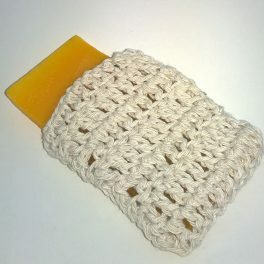 In addition to being efficient and enjoyable to use, it leaves the skin with a simply divine smell of honey. It has become an essential product as soon as the winter season arrives. In short: just buy it!!! Oh wow. This is the first time I have bought this product. I am truly impressed. What has impressed me is that I play a lot of sport and normally with other creams it tends to feel very slippery, once the sweating starts up. No such effect with your body butter, not only that but I am finding that I only need to apply every 3rd day now, as my skin doesn’t feel dry as it used to, as often as it used to. I would love it if it came in a roll up tube, It would make application that much easier and with more precision and minimal wastage. Definitely on my list of re-orders. Would it be possible to have in different scents? I haven’t tried your body cream, so maybe I am expecting the body butter to act as a body cream…………will have to try that next! Absolutely essential for our shocking flu season. For dry sore lips, tender sore red noses and we even use this on mozzie bites. It’s soothing calming and moisturising all at once. Not greasy, sinks in quickly, and best of all-doesn’t need re applying after a couple of hours. As my lip balm it lasts all night. Brilliant. Please consider making it in a twist up lipstick tube so I can apply it in the car or on the go out n about!! Your loyally devoted family, the Bevilacqua’s. I bought this product to “trial” another of your fantastic range….and it is FANTASTIC!! My husband has suffered from itchy legs at night for the last 8 years. We have tried all sorts of treatments and products, with only one other product providing mild relief. When I got my “Body Butter Balm Bar” I could hardly wait for him to ask for something to stop the itch that was driving him crazy. The results? INSTANT RELIEF….and not only that, but he has not had itchy legs since the first use!!! Amazing product, and I highly recommend it – as well as all your other products – to all my friends and family. Thank you for another great product.